"Don't say my name unless you're suicidal!" Meek Mill takes on a whole different sound to what we're usually used to from him. His new single ‘I Don't Know’ featuring newcomer - Paloma Ford is the lead single off his forthcoming sophomore album ‘Dreams Worth More Than Money’. Produced by the Honorable C.N.O.T.E. 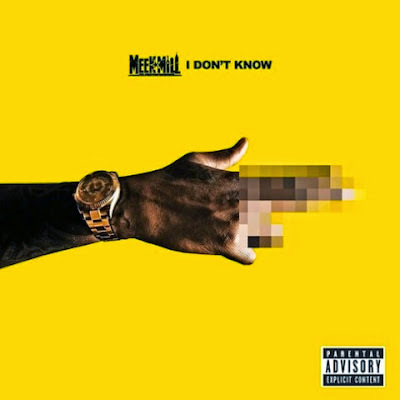 ‘I Don't Know’ shows off Meek Mill's versatility to rap over any beat - and not just a trap or heavy hip hop infused instrumental. Meek Mill enlists Los Angeles native Paloma Ford - who he met off of Instagram to sing on the hook, bridge and outro of ‘I Don't Know’. The MMG rapper is gearing up for the release of his album ‘Dreams Worth More Than Money’ out this Summer and has appointed Timbaland, Nas, Chris Brown and Rita Ora for the LP. Listen to the murderous new single below.